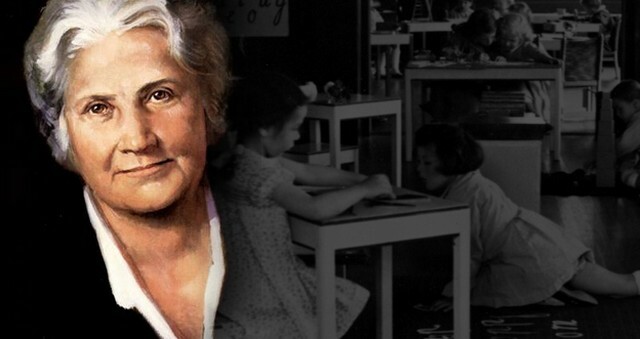 Maria Montessori (1870-1952) was born in Italy. She was the first woman to join a Faculty of medicine. Despite being discouraged by her professors, being mocked by her colleagues because she was a woman, obliged to work alone, in her first year she still received an award at University and graduated from the University of Rome in 1896. She was the first woman doctor in her country. She was later trained in biology, philosophy, psychology and anthropology. She has therefore acquired very widespread knowledge about human beings. In her first years practicing, while visiting asylums, she met disabled children who were abandoned back then: quickly, she got the intuition that object manipulation enabled them to progress. She read many studies about disabled children and found a passion in research carried out by two French physicians and educators, Jean-Marc Gaspard Itard and Edouard Seguin about sensory disabled children and about Victor, a wild child found in Aveyron. Discovering these works by these two researchers was for her a revelation and brought her to specialize in disabled children. It is said she was 27 years old when she had already read everything published on the subject in the last two centuries.